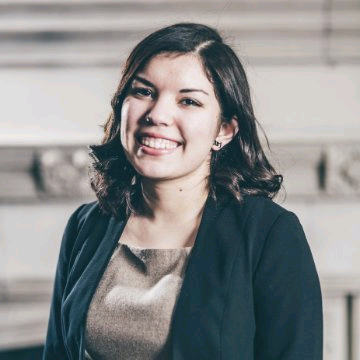 Andrea joined Civic Consulting Alliance as the Program Assistant in October of 2016, where she assisted in Civic Consulting’s internal projects, including recruitment, communications, and grant writing. In March 2018, Andrea transitioned to the Analyst role, and is currently working on West Side United, a project within CCA's Economic Vitality platform. Prior to joining Civic Consulting Alliance, Andrea held internships at Green Corps, the Clinton River Watershed Council, and Oakland County Parks and Recreation. She also held summer teaching fellowships in Chengdu and Beijing, China with Alpha Partners Education. Andrea graduated from the University of Chicago, where she earned a bachelor’s degree with honors in Environmental Studies. While on campus, Andrea was heavily involved in Model United Nations of the University of Chicago and the UChicago Environment, Agriculture and Food Working Group. In her free time, Andrea enjoys trying new restaurants and taking walks on the lakefront path.